Authorities say the murder of 26-year-old Jacob Dakota Moore was carried out on Oct. 10 at 4915 Orchard Dr. in Apison. 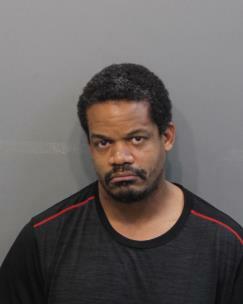 James David Robinson, 42, and Askia Witherow, 39, have been charged in the slaying. His body was found by hunters at a remote area of Polk County on Oct. 29. The TBI said the property off of Tieskee Creek Road belongs to Dale Bishop, step-father of Robinson. The body was wrapped in a tarp along with some PCV pipe fittings and a saw. Authorities said Robinson is a plumber. Bishop told the TBI that he and close friends use the property for hunting. He said the property was kept locked and he had a trail camera there. The TBI on Nov. 5 released forensic sketches of the distinctive tattoos found on the victim. His parents and girlfriend later identified him. According to the autopsy, the victim died of multiple stab wounds. Investigators said due to numerous interviews it was found that Moore was last seen alive at the Orchard Drive address on Oct. 10. Eyewitnesses said Robinson arrived. He had been there earlier in the day with Witherow and a man known as "Poo." Witnesses said a short time after Robinson arrived for the second time that Witherow and "Poo" burst into the room. They said Witherow had his face covered by a mask, but was wearing the same clothes he was earlier. They said he also could be recognized by his large stature. Witnesses said "Poo" ran into the room wielding a knife and jumped on the bed. At the same time, they said Witherow began fighting with Moore. Witnesses told of Witherow pulling Moore into the hallway, "and you could see blood flying." They said Witherow repeatedly stabbed Moore. It was also stated that "Poo" and Witherow assaulted a male eyewitness and Robinson told another person at the scene that he knew the eyewitness's family and to remember that he "wasn't there." Authorities were told that Robinson had a gun that was displayed on his hip. Eyewitnesses said Robinson told Witherow "that was enough. Take him to the truck. I want to talk to him." They said Witherow and "Poo' then dragged Moore from the hallway, through the kitchen and out the back door, where it was believed their truck was parked. The TBI was told that Robinson drives a black truck with a light bar. A black F-150 pickup truck is registered to Robinson. Eyewitnesses said their cell phones were taken and broken so they could not alert authorities. The TBI was told that Robinson was planning on fleeing the area because of the Jacob Moore incident because he was afraid that his vehicle had been captured on a trail camera. Police said a large amount of evidence was taken from the Orchard Drive address and it backed up the statements by the eyewitnesses. Robinson is charged with one count of first-degree murder, one count of especially aggravated kidnapping, four counts of especially aggravated robbery, four counts of false imprisonment, one count of criminal conspiracy and four counts of interference with an emergency call. 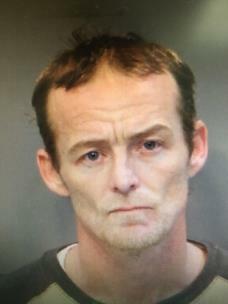 Robinson had been added to the TBI Top Ten Most Wanted List. On Sunday, Robinson was located and arrested at a relative’s home. He was booked into the Hamilton County Jail on a $930,000 bond. An investigation by special agents with the Tennessee Bureau of Investigation, the Polk County Sheriff’s Department, the 10th District Attorney General’s Office and the Hamilton County Sheriff’s Office earlier resulted in the arrest of Witherow, who is from Ooltewah. At the request of 10th District Attorney General Steve Crump, on Oct. 29, 2018, TBI agents joined investigators from Polk County and the District Attorney’s Office in investigating skeletal remains that were found by hunters on Benton Mountain in the Reliance community. Last Thursday night, officers arrested Witherow in Georgia, and charged him with one count of first-degree murder, one count of especially aggravated burglary, four counts of especially aggravated robbery, one count of kidnapping, four counts of false imprisonment, and four counts of interference with an emergency call. Witherow was booked into the Catoosa County Jail without bond, pending extradition to Tennessee.